A typical project specification defines the full extent of work effort to explain what goals and objectives to achieve by the project, what boundaries and requirements are to be followed, what constraints & assumptions are to be counted, and what people are to be involved in the project. Use this Project Specification Checklist to learn more on this point. Define the business need/problem to be addressed by your project. Make a list of objectives and goals that support the project effort. Determine preliminary timeframes for doing the project. Make a list of key activities to be done to complete project objectives and goals. Define criteria for evaluating project success and determining whether goals and objectives are accomplished. Develop a goal statement that summarizes key objectives and explains the rationale of the project. Include this document in your project specification. Define benefits to be gained by delivering your project. Perform a feasibility analysis to define whether the project is technically and economically feasible. Develop a feasibility analysis report that confirms project feasibility. Use this report to convince the sponsor of the need to make necessary investments. Define boundaries of your project. Communicate with the customer and user to understand their needs and expectations. 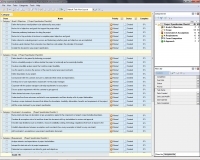 Develop a list of user expectations and present it to the project manager. Cooperate with the project manager to develop requirements for your project. Discuss project requirements with the customer to get approval. Define desired outcomes of your project. Understand how these outcomes are linked to user requirements and then develop a list of project deliverables. Develop a scope statement document that defines the boundaries, feasibility, deliverables, benefits and requirements of the project. Add the scope statement to your project specification. Make a brief and clear-cut description of any assumptions related to the components of project scope (including boundaries, benefits, deliverables, feasibility). Combine all assumptions into a list and then share this document with key stakeholders for review and approval. Describe major limitations (such as timelines, resource availability, funding, technology, regulations) that have an impact to the project. Establish dependencies between assumptions and constraints (how every assumption is linked to every constraint). Add constraints & assumptions in your project specification document. Analyze interests and expectations of project stakeholders. Interpret this data into a list of project requirements. Determine how requirements are linked to goals and objectives. Be sure that requirements can be met within stated scope and boundaries. 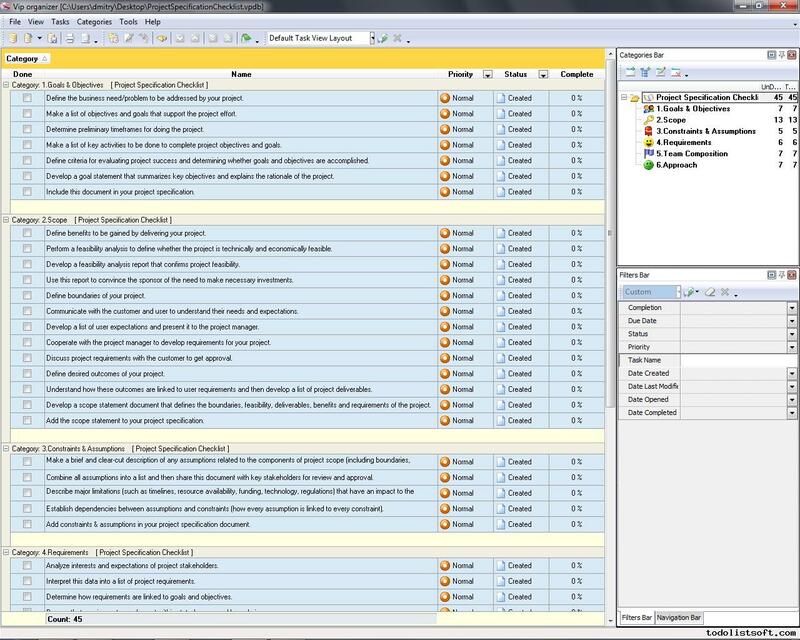 Make a list of criteria for measuring project status against requirements. Develop a list of requirements and include this document in your project specification. Make an organizational chart that explains what roles and responsibilities are required for doing project work. Assign a person to the role of project manager. Request the project manager to assemble the team. Request the manager for a draft of team composition chart. Prepare the chart for presentation to key stakeholders, including the sponsor, owner and customer. Discuss the chart and proposed roles and candidates with the project manager and stakeholders. Approve the chart and include this document in your project specification. Define an approach for managing your project. List key criteria for measuring approach effectiveness. Explain what methods and tools will be used in team motivation and leadership.